When James Debnam had a burning ambition to start his own candle-making business he wouldn’t take no for an answer. 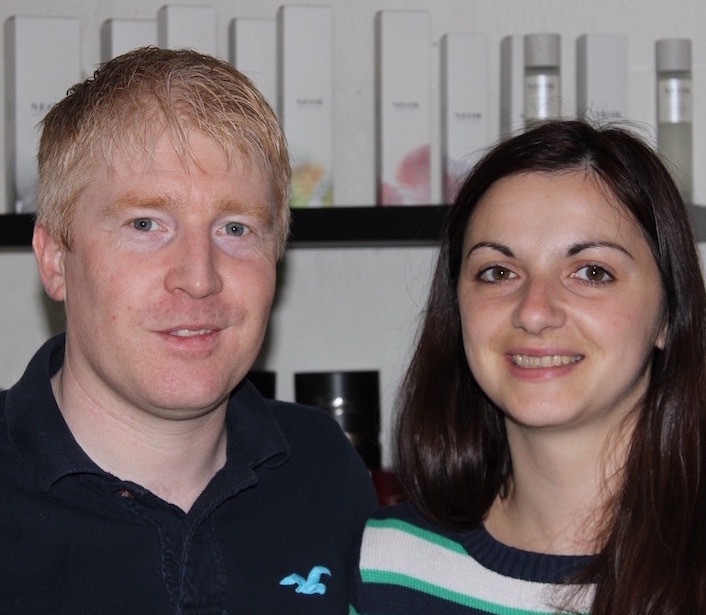 He was just three months in and two companies had already approached Luxus Home Fragrance with major orders. “We just didn’t have the money to do it,” remembers James. Funding was needed, and needed quick. The problem was his bank had said “no”. He had approached a start-up loan company, spent his weekends filling out forms, and they had said “no”. He had already spotted the potential of Pension-led funding after a Google search for finance but his own financial adviser was not so sure. But James was determined to find someone, or some form of funding, before the flame went out. Everything changed when he approached the crowdfunding and commercial funding platform Fundsurfer, who recommended he speak to Clifton Asset Management and Pension-led funding. “Everyone else said ‘no’ but Clifton said ‘yes’,” added James, who met consultant Lewis Metcalfe in a coffee shop. Those facts and figures added up to a £50,000 personal pension which was transferred into a Small Self-Administered Scheme (SSAS) and the pension loaned the business £25,000 secured against the assets in the business. By adding a further final salary pension to the pot a further cash injection is available to Luxus to purchase machinery or more stock in the future. A couple of months before James had been working for Oakleaf Candles in Suffolk, arriving via a degree in forestry and jobs as a saw mill production manager and in the chemical engineering industry in Scotland. He had also met his “life and work partner” Zuzana Sabadka and, as the new owners of Oakleaf Candles targeted larger orders, the couple spotted a gap in the market. Now Luxus Home Fragrance has seven good customers and James is predicting a turnover of between £250,000, and £300,000 in the first year with the potential to hit £500,000 next year for the contract manufacturer of candles and diffusers. “Our customers have their ideas, they have their designs but they don’t make candles,” he said. His customers are High Street brands including retailers such as Neom, who distribute to John Lewis and Marks and Spencer, and Timothy Dunn London, whose products are on sale in Harrods. Luxus are also launching their own range and developing their own vegetable wax as an alternative to the traditional paraffin wax. Now based on a trading estate on the outskirts of Plymouth, James, 42, can look back and smile at the time when pallets arrived daily, sometimes delivered at 7am, to his parent’s house. He has come a long way in a short space of time after investing his pension in his business. “I paid the money in and I want the money out. I want to do something with it,” he said.